How propitious. Thursday is blog day and this post, which is my top 10 reads of 2015 happens therefore to fall on New Year’s Eve. These are the best of my reads this year and are presented in order of Author surname, not preference. And, oddly, there are some of my fave authors not represented here, simply because I’ve not read one of their books this year. And for good measure I’ve thrown in a bonus read at the end! Enjoy the list. The first in a trilogy of spin-offs from Prue’s Gisborne series, Tobias was a hit this year since it maintained her absolutely tip-top standards of prose, style and character, while taking a step forward in terms of plot and action. It represents Prue’s best work so far and is a perfect marriage of style and content. Read my review here. One of my all-time fave series came back with a bang this year. 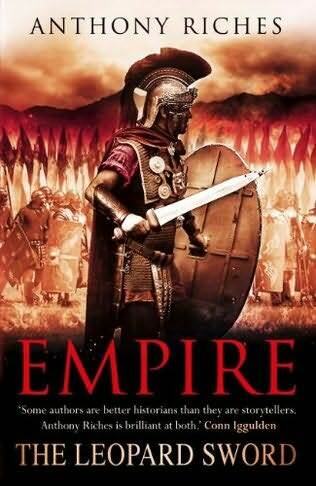 Nick Brown took a novel character type and a little-used era and created the Agent of Rome. And his protagonist has grown and acquired friends through the series, and though this one stands out partially for the intricate plot, it mostly does so because of the impressive character growth of the supporting cast, which was long anticipated and very welcome. Read my review here. The Long War series is one of the most immersive and expansive series in historical fiction, and the Great King stands out from the rest of the series for me because it contains everything I seek in this kind of work. It covers one of the greatest military engagements in Greek history, explores the Olympic Games and leads us a journey into the heart of Persia. All really good stuff. Read my review here. Jack Lark is one of the best literary inventions of the past decade. A truly unique character idea and one that initially I thought would have trouble managing a second book. And this one is the third! The third Lark book is also a game changer, taking us off on a tangent from what we were expecting, which is a brave move for an author and sometimes fails in execution. This one didn’t. Read my review here. The Outlaw chronicles have been a welcome staple of my reading for years now, and consitently make my top 10. King’s Assassin is something new, though. It feels different from the other novels in the series. To some extent, it felt like what had been a proper boy’s adventure series had grown up, passing through to become something different. It is the penultimate in the series and there is a definite feel of something coming to an end. Read my review here. A new writer for me – two new writers, in fact. I’d encountered Stephanie’s work as part of the A Day Of Fire collection, but this was something else and a phenomenal achievement. It was a new type of read for me entirely, and one born from the most unique perspective. It opened up new avenues of interest in my life, and for that alone it deserves a top ten spot. Read me review here. Again, Ben Kane moves into a new milieu, having dealt with the Caesarian era, Hannibal and Spartacus. And this time he’s moved more into my period of choice. To take on the Teutoborg disaster and try to cover the scope in a single novel is a massive undertaking and he did it justice from both sides of the conflict, which was nice to see. Read my review here. Again, a contributor to A Day Of Fire, Kate Quinn proved herself to me with this novel, which is languorous and exotic and yet at the same time informative and pacy, showing a side of the emperor Hadrian that I had never even imagined. A win on several levels. Read my review here. 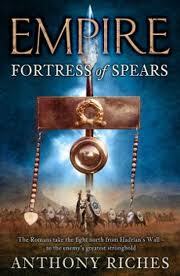 The empire series is on its eighth book now and seems to be running from strength to strength. Here we have moved geographically into the Middle East to explore the Parthian world in a truly action packed and fast paced military adventure. The reason for this win: Riches has settled into the characters beautifully and has managed to change directions with the overall plot arc now. Read my review here. One of the most atmospheric books I have ever read. Quite simply that. A Gorky Park for this decade, Holy Thief is a perfect marriage of intricate plot and foggy, dangerous, cloying atmosphere. The protagonist is extremely real and sympathetic and I felt totally drawn into the time. Read my review here. One of the most ambitious novels I have ever encountered, Into the Fire was a duel timeline treat dealing with modern police procedure and political shenanigans and the campaigns of Joan of Arc. It was a masterpiece in both times and probably hits my top ten of all time. Read my review here. So there we go. 11 books in a top 10, and each and every one a gem. If you didn’t get round to reading one of them this year, go get it for 2016. Happy New Year and happy reading everyone. As well as reading this excellent book – which is released TODAY by the way – I have had the opportunity to pose a few interesting questions of the author. So without further ado, here is my review, followed by a nice little Q&A with the man himself. 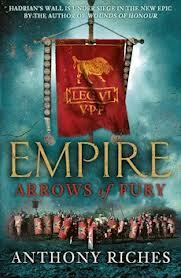 Anyone who’s kept up with my reviews over the past few years will already know how much I enjoy Anthony Riches’ books. He is among the leaders in the field of Historical Fiction in my humble opinion, and never ceases to thrill and entertain me with his work. 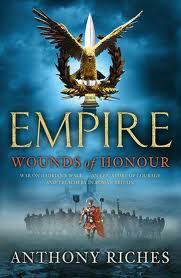 And when the next in the Empire series appears in Coming soon lists, my reading pile gets reordered appropriately. The Eagle’s Vengeance has some tough acts to follow. I would say that the first three of the series were very much on a par with one another, and told a story in a 3 book arc (albeit a sub-story of the main story arc). They were excellent books and I highly rated them. However, books 4 and 5 took us off in new and fascinating directions, diverging from the extant tale and into wonderful unexpected worlds. They were also each a significant step up, in my view, on their predecessors. So Book 6 had a lot to live up to. I was a little surprised to find that after two tales that took the characters across the Empire towards the east, this book began with them returning to Britannia, where it had all begun and where the first three books had been set. On some level, that made me expect the story to drop straight back into the arc of the first three books and I wondered whether it might falter for me. In fact, while returning to old ground, Riches has kept the feel fresh and new, tying up a number of ends that have been flapping loose for 3 books now while taking us forward into the greater arc of the series by leaps and bounds. For those of you who’ve not read the previous books, beware a few spoilers here and skip this paragraph. You have been warned. Remember those loose ends? They are, now we go back to them, far more significant than I remembered. 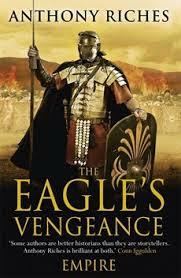 A legionary eagle lost by the 6th to the northern tribes? Corvus’ true identity known to too many people for comfort? An unavenged senior officer? Look to Riches to deal with them at last. So what is the Eagle’s Vengeance? Well it does what it says on the tin. 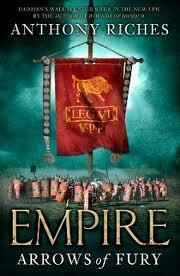 The tale revolves around – at a basic level – the hunt for a legion’s eagle now in the hands of barbarians. For good reasons, only one unit in the whole of Britannia is suitable to send after it, and within that unit, only a small party of men stand a chance. And so is born a huge plan for distractions with military campaigns in order to allow a group of righteous thieves the opportunity to retrieve the lost item. But as has become the norm in a Riches book, it is never that simple. Be sure that if the plot looks straightforward, that is because you are only seeing part of the big scheme. 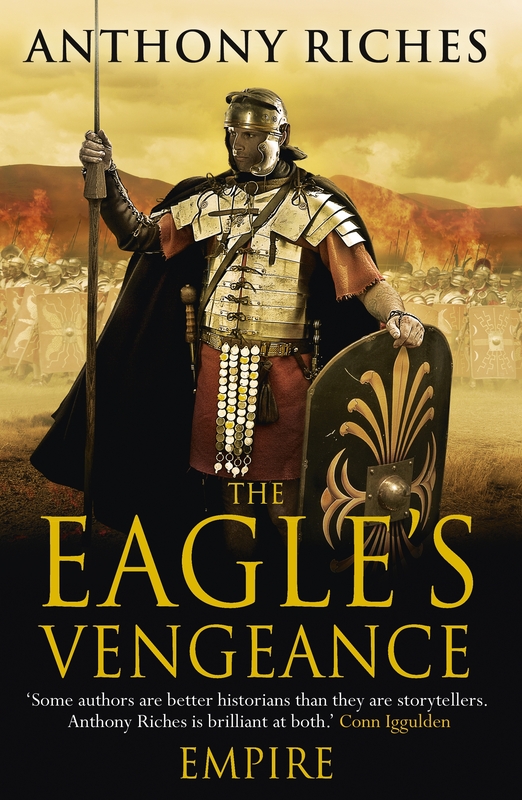 Be assured that there is more to the Eagle’s Vengeance… MUCH more. For those of you like me who have been itching to see an advance into the deeper plot involving the protagonist’s past, this is the book. It sort of marks a turning point in the grand plot, I think. As usual, we see the departure of at least one old friend, but equally, we are introduced to a few new exciting characters. It wouldn’t be Riches any other way. And for those of you who don’t know his work, I will issue my usual warnings: Riches’ military stories have the in-your-face feel that I have encountered in the real military. The violence is brutal, as is much of the humour, and the sexual content is above Carry On level. But that should in no way put you off. They are simply excellent. I’ve enjoyed The Eagle’s Vengeance every bit as much as I’d hoped, given the high praise I’d heaped on the previous books in the series. It’s no small feat to keep the quality up consistently over six books of a series, and yet you’ve managed to do so in spades. Is it difficult to take your cast – who are now so well rounded and experienced – and come up with a new situation in which to immerse them, in which you can draw out new responses and new sides of already familiar characters? Flattery will get you anywhere Simon! But that’s a good question, because I’ve just completed the seventh book – The Emperor’s Knives – and now I have the enjoyable task of picking out the next venue for the Tungrians. I’m helped somewhat by the actual history of the period, which was rather gritty, after most of a century of relative stability under five ‘wise emperors’ (which really meant ‘strictly no idiots allowed to inherit the throne and repeat the mayhem of the Julio-Claudian succession’). Once Commodus was in the big chair things started to heat up, with wars in Britannia (books 1 – 3), Dacia (book 5), and bandits all over the place (book 4 and more to come). 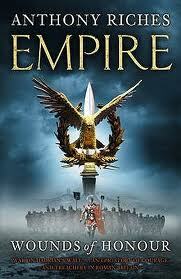 And it’s a big empire, with vulnerable frontiers and some really nasty enemies. Then, once we reach AD193 the Severan civil war kicks off, and three generals dispute the throne of over three years, leading up to the titanic battle of Segedunum (Lyons) with hundreds of thousands of men fighting over the empire’s fate. And after that we’ve got another fourteen years with Septimius Severus, a fairly unpleasant hardman, roaming the empire and stamping flat the pockets of unrest that sprang up while the soldiers were away from their provinces fighting for power while his sons grow up with a poisonous hatred for one another. So that’s one side of it – history, pure and simple. But there’s another side to the writing that I like to practise – showing the reality behind the history. 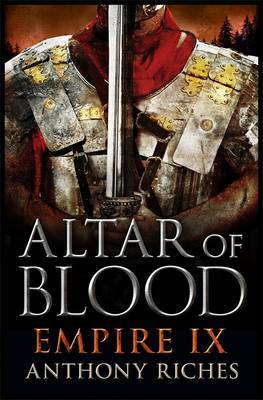 Books 1 to 3 focused on the nature of Roman power in northern Britannia, in book 4 it was the grain supply to the Rhine legions, in book five it was Dacian gold, in book 6 (out on Thursday!!!) it’s the wreckage of the long deserted Antonine Wall, and in the next book it’ll be Rome, and a subject I’ve wanted to write about for years. It’s going to take about 25 books to get us to York, in AD211, and I aim to invest them all with as much of that background history as I can. And book 8? Somewhere distant, and warm. After three books, you took the Empire series away from the Northern Frontier and off to first Germany and then Romania in two very different style of adventures from the previous more-military based novels. Now, with ‘Eagle’, you’ve brought the cast back to Britain and old adversaries from early in the series. Was it a pre-planned and conscious decision – part of a grand story arc – that precipitated this, or was it more a fluid decision, born of your current interests and ideas? Also, were you hesitant about returning to old ground after two books away? I wouldn’t have used such a portentous term – not until I’d had several pints, at least – but you’ve given me all the excuse I need. It’s the “grand story arc” thing, mainly, although I was also fascinated to imagine the remains of the Antonine Wall as well. I had to bring the Tungrians back to Britannia in order for them to deal with some unfinished business and unwittingly follow a trail of gold that will turn the imperial palace upside down when its implications become clear. Mind you, they weren’t happy that morning I decided to march them north without allowing them to go back to The Hill. Not happy at all. A number of geographical features in ‘Eagle’ are clearly familiar, such as the Antonine wall and a number of forts, rivers and lakes. I even spotted the frying pan shape of woodland while perusing Google Earth (as I sometimes do to give myself a nice overview of the terrain). One thing I was unsure about was the Venicone fortress: the Fang. Is this entirely fictional, or did you extrapolate from an existing feature? Does the Fang exist in some form, across the river from Stirling? It’s there, and it’s called the Dumyat. I’ll send you some pictures to post, taken one sunny evening in 2008 when I was working in Glasgow and plotting for the Tungrians to make their way north at some point. Like Wellington, I put that piece of ground in my pocket until I needed it. Of course I doubt it was ever actually called The Fang, (there’s a hint of Tolkien in there if you squint hard enough), and it was apparently used by the Maeatae, but who’s to say that the Venicones weren’t there before them? As with previous books in the series, despite writing about an auxiliary cohort, you have managed to seamlessly integrate odd and unusual characters (I myself have been a fan of Qadir since his first appearance.) In this volume, the fascinating group of characters led by Drest were something of a departure from the standard Roman military or Barbarian tribes that necessarily form the bulk of the Dramatis Personae. Do you come up with your plot and then carefully craft characters who could fulfil their role with plausibility, or do you find yourself forming interesting characters and then looking for a way to use them or tweaking the plot to facilitate their inclusion? A bit of both. 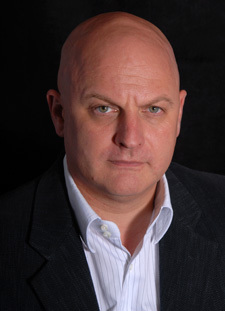 My good friend Russ Whitfield – author of the Gladiatrix series – and I have discussed the idea of spies and ‘special forces’ by the Roman army, and while there was clearly nothing more effective at the imperial level than the Frumentarii, what was to stop an individual governor or legatus from pulling together a group of hardy and unprincipled scouts to do his dirty work? And so I did just that with Drest and his men. The way it tends to work is that I come up with the characters first, then leave my subconscious to work out what they’re going to do. It wasn’t until I was a good deal more than half way through the book that I knew what their final part in the story would be, or how it would play out. That’s the joy – and the terror – of not plotting the books out before I write them. For every hour spent staring off into space thinking about Ferraris and wondering what the hell to write next there’s a delicious moment of amazement as my fingers skip across the keyboard delivering prose that I’m still making up as it comes out. Exhilarating. Exasperating. Both descriptions would be equally correct, although it usually comes out alright in the end. And Qadir…? His time is coming. 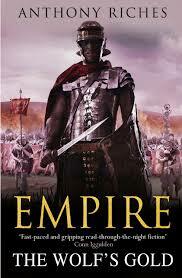 Each tale in the Empire series promises a little more on the dark history of centurion ‘Corvus’ and the plot that led to his exile in Britain in the first place. Each time we have seen another layer of skin peel from the onion, and finally, without wanting to throw in any spoilers, there is a serious swing into the very heart of the plot. Have you been waiting eager to scratch that particular itch? Can you give us any teasers or hints as to what the future holds for the series and for our favourite centurion ‘Two Knives’? 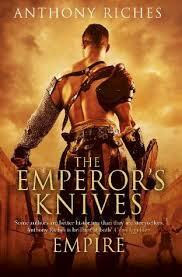 ‘The Emperor’s Knives’ will be quite unlike any Empire book that’s gone before, I can tell you that much. And after I think we’re all going to need a change of scene, and some enemies the like of which the poor old Tungrians haven’t seen before, and trust me, we’ll be getting both of those things. Where do I start with The Leopard Sword? Strangely, with a comparison. 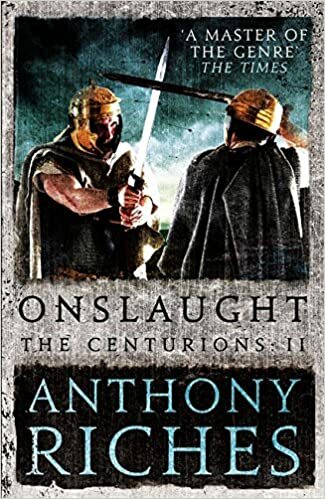 You see, I’ve been a fan of Tony’s books since the first Empire novel, but to me there is a definitely change between the first three books and this fourth one that makes a comparison viable. I have recommended the first three novels to numerous people since I started them (and bought copies as presents for some) but the target audience for that recommendation was fairly specific. 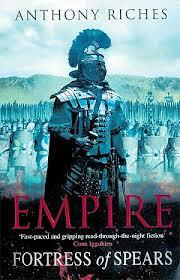 The Empire books have been distinctly miltary in nature, bloodthirsty (aka not for the faint-hearted), rude (in an entirely appropriate way – The Romans has a fairly crude sense of humour and let’s face it, the military is pretty similar throughout history.) So I’ve aimed my recommendations at people with an interest in that area and who I know will appreciate the style. The Leopard sword has lost none of these things. Everything that a fan of the first three books enjoyed is here. You will enjoy it. Believe me. But more than that, Empire IV has taken Tony’s writing (and most particularly, I think, his planning of novels) to a whole new level. I will recommend TLS to people who I would baulk at the thought of reading the first three. It shows not only a natural progression from the first three but also a maturity in style that I adored. Moving from a 90% military plotline to a new and exciting mix of military, whodunnit and thriller, TLS had me guessing almost to the end, with its constant twists and surprises. Every time I thought I’d nailed part of the plot it evaporated like smoke. I could enthuse about this at length and give some fantastic detail, but I will NOT risk spoilers, so enjoy that aspect and be glad I didn’t ruin it for you. The first three books, for me, were very much a trilogy, and I worried, after the fairly definitive and enormous end of the third, whether Tony could really pull a fourth out of his hat. He’s done that, and made me wish I’d given his earlier books a lower rating so that I could adequately express my high estimation of this one. As well as the continued ‘real’ feel of the military seen in his earlier books, there is also a much more personal element to TLS for several characters. There are some new and impressive folk to meet, and the bad guy in TLS will rank among my top historical villains. From his very introduction, he exudes style and mystery. Oh, and one of the previously more ‘supporting’ characters has really come into his own in this book and taken a limelight role – not before time. This book also has a far more complex and intricate plot that its predecessors, and a real feel for the time and the local environment, which play a very important role in the plot itself. The interwoven threads are so neatly tied, it pleased me immensely to see not a hint of a loose end. Moreover, I feel that Tony may have shifted a tiny amount of his focus so that there is less concentration on the battle and viscera (though don’t panic as there’s still plenty of ICK!) and more on subtle plot twists and character growth. All in all, it’s a subtle move in style, I think, but a welcome and mature one which loses nothing, yet gains everything. Simply: I love it. Buy it. And – and I rarely will say this – even if you’ve not read the first three or don’t fancy them, buy this anyway. You’ll love it too.